esplanade_bw, originally uploaded by the light is all. 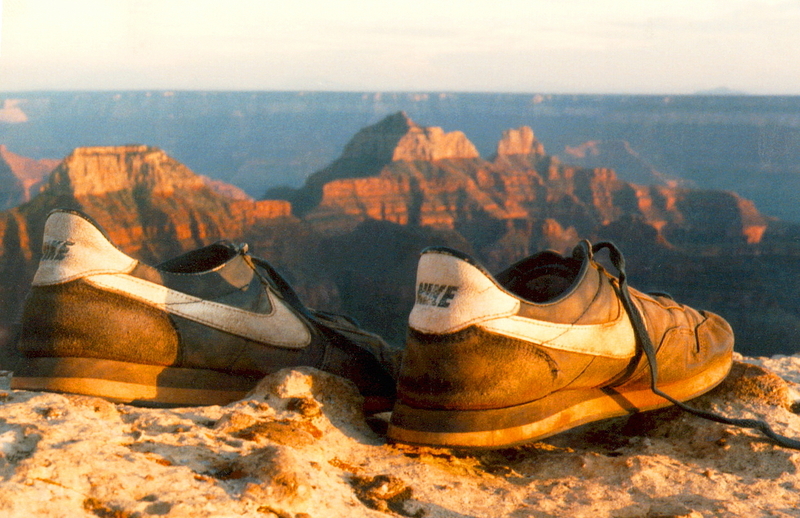 In 1992, my friend Jeanne and I hiked down into the Grand Canyon on the north rim on the Thunder River trail. It was only June, but the sun was scorching hot at mid day, so we stopped on the Esplanade, a broad bench midway into the canyon, to wait out the heat, and decided to shoot some pictures. 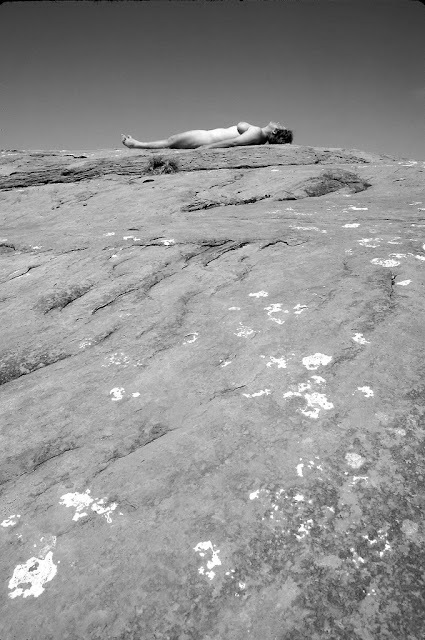 So many fine art photos are made in the desert southwest, because bare textured rock and smooth skin make such an interesting combination. I originally shot this as a color slide, but it's even better in black and white, which emphasizes the great lines and textures.